Planning a move to the Windy City, or just wondering if Chicagoland is right for you? This third-largest city in the U.S. draws new residents for its reputation as a hub for finance, commerce, technology, and transportation and its vibrant waterfront location and nightlife. 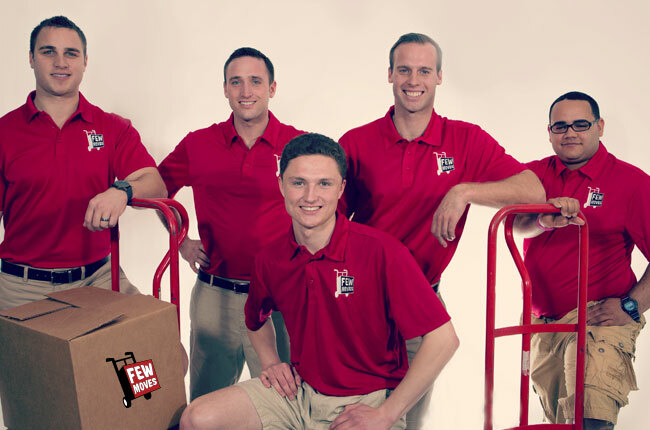 Few Moves Moving Company loves Chicago and has scouted out a “few” secrets and not-so-obvious truths about it. When you’re ready to move to Chicago, call Few Moves and we’ll fill you in on our best deals, best practices, and terrific staff. Meanwhile, chew on these not-so-obvious things to know before you move to Chicago. You may not think of Chicago as a beach town—more of parka town, maybe! But Chicago is on Lake Michigan, kind of a freshwater ocean, and summers can be spectacular on the Great Lake. Head to the city’s waterfront and find sandy beaches, or take a short drive to nearby state parks to enjoy the water. It’s not obvious, but there’s no need to turn in your flip flops just yet. Sports fans in Chicago just might be the most rabid fans of all. The city is home to the Bears, who have won 19 NFL championships and are fierce rivals with the nearby Green Bay Packers. The Bulls and the Blackhawks have better records, and there’s even a soccer cub, the Chicago Fire. Not one but two baseball teams call Chicago home: the White Sox and the Cubs (diehard Cubs fans don’t seem to mind that their team hasn’t won a title in nearly 100 years, so tread lightly when speaking of them). Choose a team and cheer; everyone else will be doing it. Chi-town has a funny bone and a lot of improv clubs. Not to name drop, but comedians Tina Fey, Steve Carrell, Steven Colbert, Bill Murray, and Mike Myers got their start here. Try the Second City club, with modest admission for fans of sketch and improv. Top acts always include Chicago on tours, but live music in smaller settings is everywhere. With a heritage as a center for blues and jazz, it’s less known that House music originated here or that that Chicago is home to a number of independent record labels. Young professionals will find not only a lot of jobs to choose from, but a cool start-up scene with lots of great working environments. Want flexible hours and a Ping Pong table? You’re not alone. It’s no secret that lots of young people are starting their careers in Chicago to take advantage of the cool companies. Because it’s a big city, neighborhoods matter a lot in Chicago. Do your research before you move to find the area that feels like home to you. Whether you’re a fan of suds, art, or super shopping, you’ll find what you need and new friends to join you. Wherever you decide to settle, one thing is obvious: Few Moves Moving Company can help get you and your belongings there with a minimum of fuss and a maximum of ease and safety. Call Few Moves today at (919) 999-6201 in Raleigh or (910) 512-6999 in Wilmington, NC to learn more about our convenient long-distance moving services. Or feel free to request a quote online.